UtahFilmLocations.org, known for providing staged homes, offices, and obscure locations to indie filmmakers, large productions, and film enthusiasts in Utah, have added a small fleet of All-In-One Film Production Trailers for Makeup and Wardrobe. The 22ft “McKenna” and 23ft “Carson” Film Production Trailers feature two Makeup Stations, Wardrobe Racks, full kitchen, bathroom/changing room, LCD TV, DVD Player, CD stereo system, microwave, WiFi, and built in generator. “The biggest challenge independent filmmaker’s face is expense.” Marketing Director Ty Frost said. “We provide our All-In-One Production Trailers for less than $200.00 a day.” The trailers offer 9ft ceilings and open floor plan that allows ample breathing space compared to a normal RV trailer, which is typically the only alternative for indie filmmakers budgetary restraints. “Who wouldn’t want to have the convenience of a Production Trailer on set?” Frost said. “The trailers compact size also include the benefit of mobility, not requiring special equipment, truck, or expensive drivers to transport the unit.” The acquisition of the trailers is part of Utah Film Locations continued dedication to independent film productions in Utah by providing more production value to film projects throughout the state. The success of Utah Film Locations Production Trailer strategy is apparent by the number of bookings it has received in recent weeks. 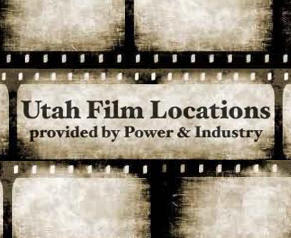 Commercials, photo shoots, events and film productions have all made their way to UtahFilmLocations.org who have found their niche by combining the elements of Hollywood with the hospitality of Utah.